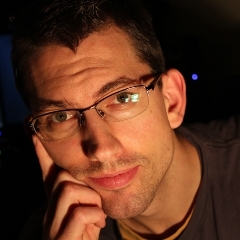 Music composed for film, television, and interactive video games. The films so far listed below are short films that had very tight schedules. I am proud of the score I was able to produce with the tools available to me at the time, within such a short time period, and of course while adhering to the directors preferences. However, with more time and using the system currently available to me, I am anxious to show off what I am capable of doing. Sit tight! Directed by Craig Murray. Music composed by Adam Spade. This 22 minute soundtrack was scored, mixed down, and produced within 3 days for a contest on infowars.com. A blog post with commentary about how I pulled this off is available here. The following Youtube video contains commentary by Composer, Adam Spade. Directed by Brian Pearce. Music composed by Adam Spade. This soundtrack was created on my old system, primarily using synthesizers. Most of the music was recorded live, and in a hurry. Directed by Philip Giordano. Music composed by Adam Spade. More information about this commercial can be found here. Directed by Philip Giordano. Music composed by Adam Spade. Need original music? Contact me here.